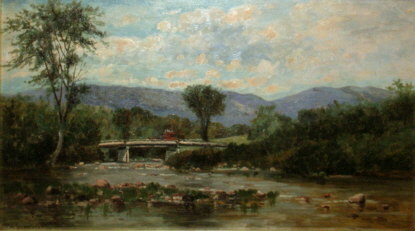 Paintings are in order by artist last name. The artist name is a hyperlink to biographical information about the artist. The sizes given are canvas size followed by framed size. The provenance, if known, is given. 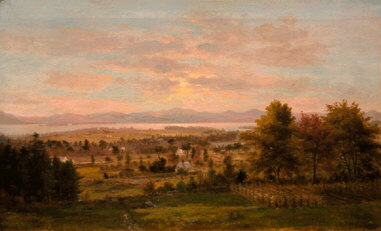 Comments and general information about the painting, when known, are given last. 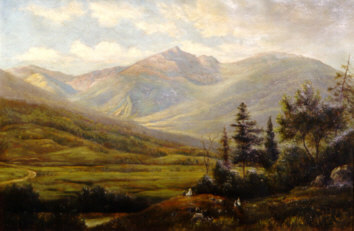 This painting is shown in The Magazine Antiques, November, 1963 in the article Benjamin Champney and the American Barbizon, 1850 - 1857. Its attribution is 'Handy collection.' 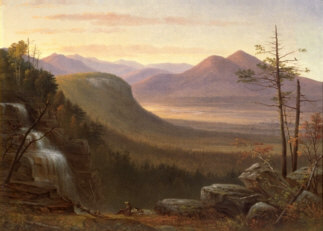 It was called 'Thompson's Falls and the Saco Valley; 1855.' 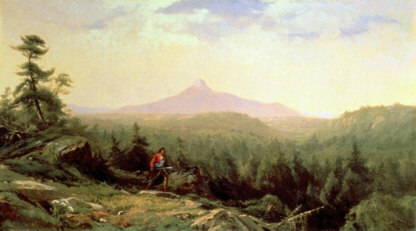 The painting is clearly an early Champney and one of his best efforts. Thompson Falls is described both in Champney's and Starr King's books. 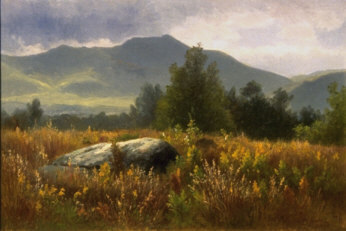 Inscribed on back "Mount Kearsarge from North Conway, NH." 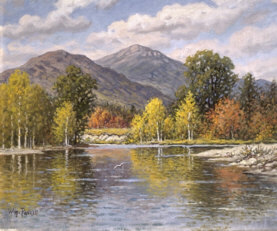 Inscribed on the canvas, "Mount Kearsarge from North Conway, NH." 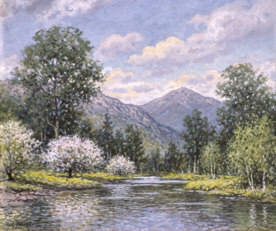 This painting is signed on the back Wm. S. Mount, March 7th 1859 and inscribed "Figures introduced by particular request" on the reverse. See American Art Review, May-June 1976, pp. 71-72.